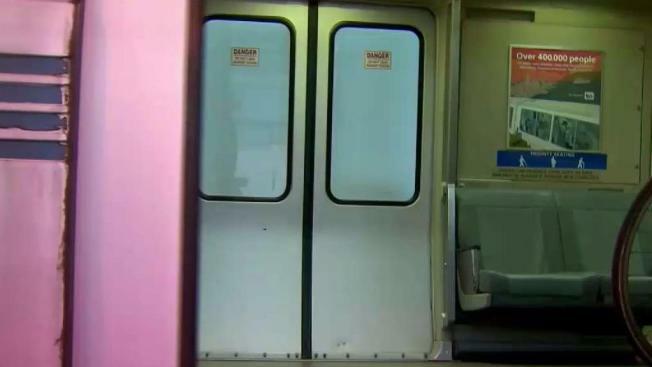 Heads up, BART riders: Your commute may soon cost you more. Kris Sanchez reports. BART's board of directors at its Thursay meeting in Oakland passed a sanctuary resolution declaring the agency's commitment to being a secure and inclusive transit system for all passengers regardless of demographic or immigration status. During public comment, numerous speakers urged the board to support the Safe Transit resolution. "The Bay Area's success relies on the contributions of hard-working immigrants and refugees," said Linda Olvera with the California Sanctuary Campaign. "Many of these same people are now hiding and running scared." Jane Martin with Service Employees International Union – United Service Workers West said people shouldn't have to be afraid when trying to go to work or school or to pick up their children. "California has taken the lead to being part of the resistance," Martin said. "We're really excited that you're going to be a part of that resistance as well." Just two speakers criticized the resolution, arguing that there may not be a demonstrated need for such a policy and asking how often people are detained in immigration-related cases on BART. Director Debora Allen asked BART police Chief Carlos Rojas when the last time a BART rider was asked for immigration papers, and Rojas said he was not aware of any incidents of that nature. Rojas said an individual was arrested on an immigration warrant, but said that arrest occurred more than five years ago. Just before noon, the board voted 8-1 with Allen casting the sole dissenting vote. "We will now be spending our resources keeping BART riders safe, not deporting them," said director Nick Josefowitz, who sponsored the bill along with director Lateefah Simon. "Under Safe Transit, BART will focus its resources on our top priorities — transporting our riders with affordability, accessibility, and accountability — not harmful, wasteful anti-immigrant policies," Simon said. "I am proud that BART is the first transit system in the nation to pass a Safe Transit policy, and I hope other regions follow." In an unrelated matter, the board passed an inflation-based fare increase of 2.7 percent as well as a 50-cent surcharge on fares paid for with paper tickets. They also reduced the discount for youth riders ages 5 to 12 from 62.5 percent to 50 percent, and established a new 50 percent discount for youth ages 13 to 18. Those changes go into effect in January 2018. "It's 2017, it's time to end the paper tickets," Allen said. "I'm happy to support that. This is a step in the right direction." In a narrow 5-4 vote, the board also repealed the controversial "seat hog" ordinance, which would have prohibited riders from taking up more than one seat during commute hours with warnings for first-time offenders and a series of escalating fines of up to $500 for repeat violations. Police had concerns the ordinance would cause delays, target the homeless and lead to unnecessary use of force incidents. It was never enforced.